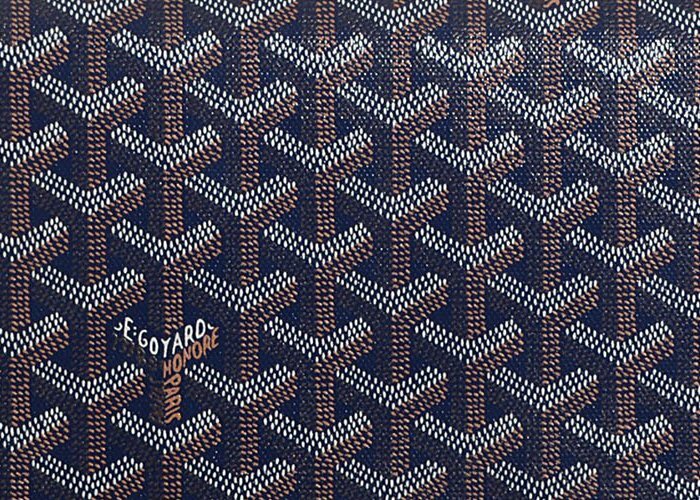 There is no designer brand like Goyard that kept their prices, colors and information about new releases hidden. Their website contains limited information and occasionally they will inform us about the upcoming collection but that’s where the rope stops. 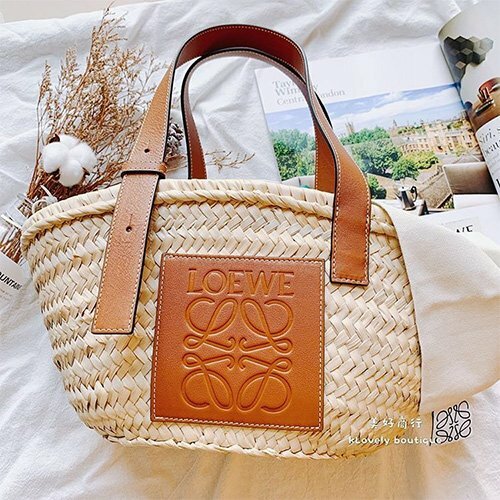 On this page, we do our best to gather as much Goyard bag prices as possible, we try to include the prices of US dollars, euro, GBP (UK), Singapore dollars, Japanese Yen, Australia dollars, Hong Kong dollars, Canadian dollars, but it’s not always that easy. If you find more information, do put them in the comment section, so we can keep this page fresh. 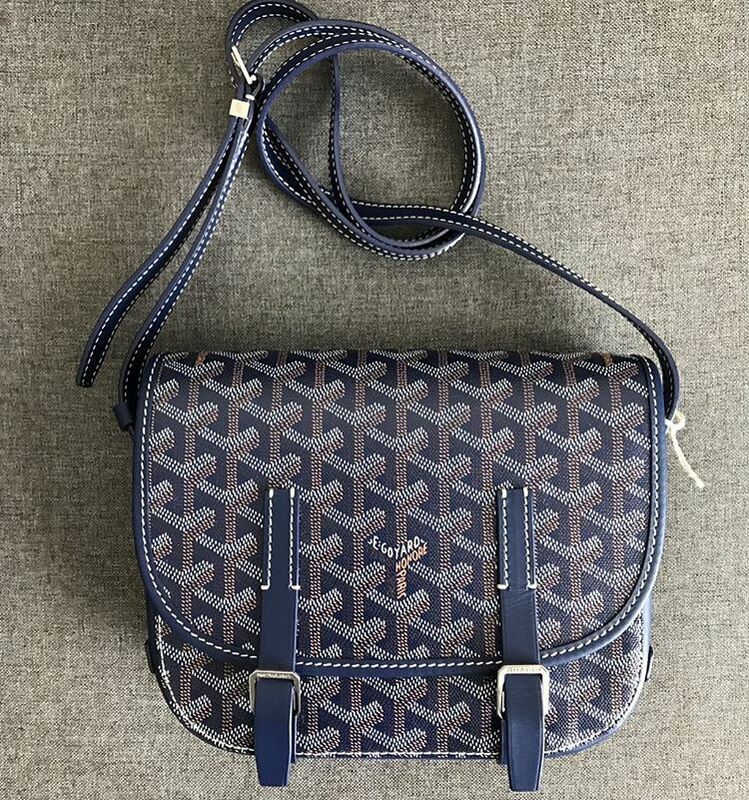 Goyard is famous for personalizing your accessories and in almost all of their handbags you can choose to put names, stripes, numbers or initials on it. These are all hand painted. The famous 3D chevron print is hand painted as well and is embellished in the majority of their handbags. But what makes the house really popular is the revolutionary Goyardine Canvas that’s crafted on the classic Saint Louise Tote Bag. While it was introduced in 18’s, the production of this material has been discontinued after World War 2. It has been reintroduced when Jean Micheal Signoles took over the company in 1998. The original color of the Goyardine Canvas was black, but Jean expanded the color options. 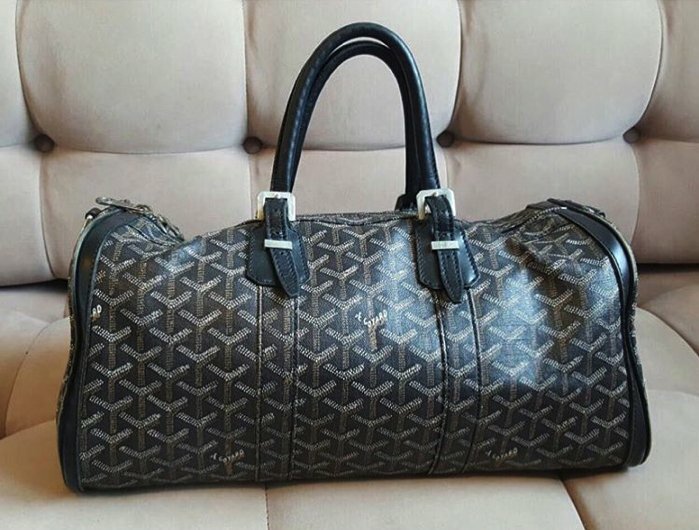 In the Goyard Saint Louis Bag review, we will talk more about this material. 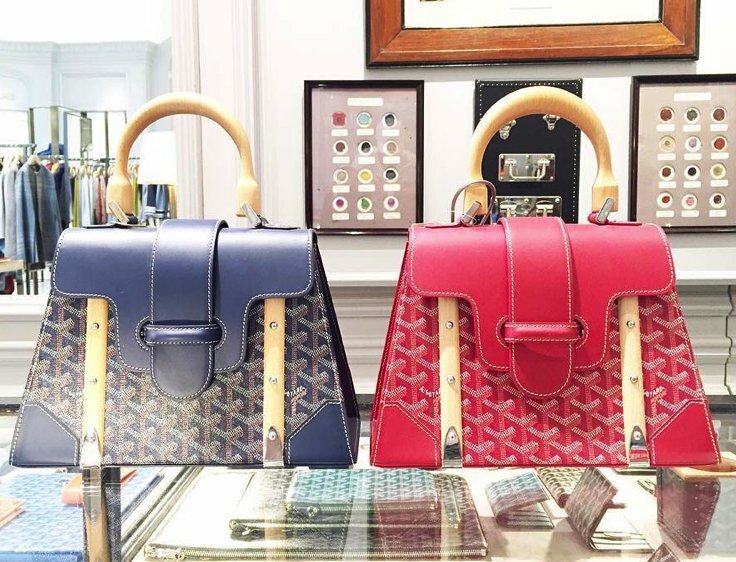 Goyard classified their prices in two categories – the Classic Colors and the Special Colors. The Classic Colors consists of black and black with trim. All other colors are categorized in the Special Colors. Since September 2014, the color red has also moved to the category of Special Colors. Now that you’re well informed about the basic information, let’s head on to the details, shall we? 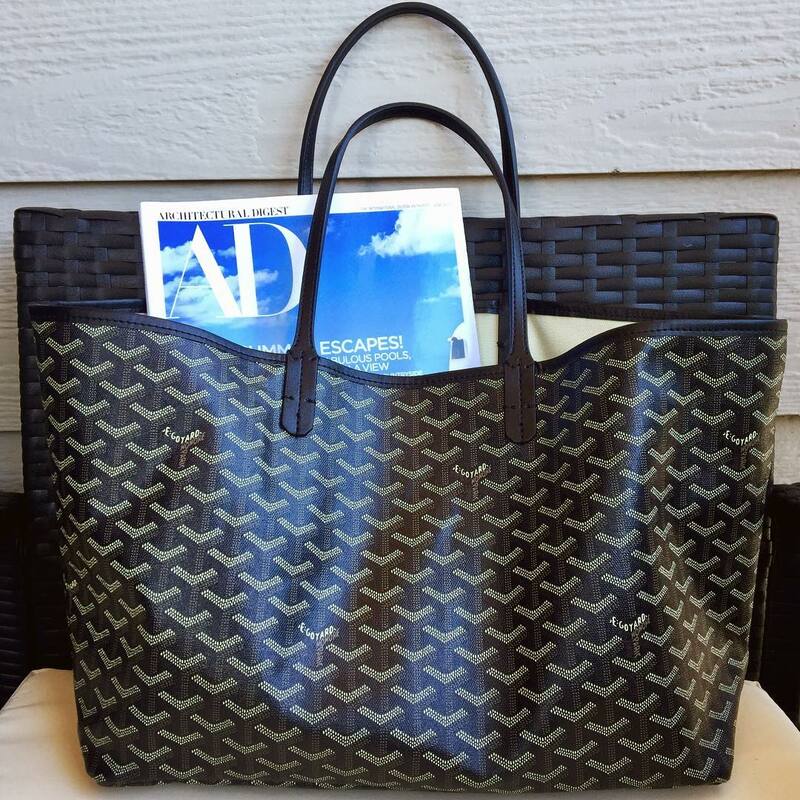 Meet the Saint Louis Tote – the holygrail of Goyard. 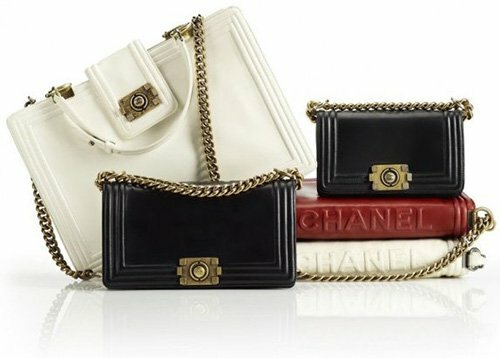 It’s one of the well-known handbag in fashion and has been loved by many fashionista’s around the globe. It’s the perfect bag for the busy woman, world-travellers and anyone looking for a timeless tote that weight as light as feather. And not only that, the bag is functional as well. 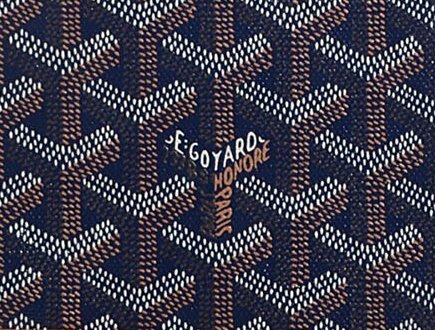 Established in 1853, the brand Goyard is one of the oldest Parisian trunk makers and it’s a true traditional family business. Throughout the years, the company has been passed from father to son, from generation to generation. As per today, the house is known as the queen of all Monograms as the brand is just one year older than Louis Vuitton. 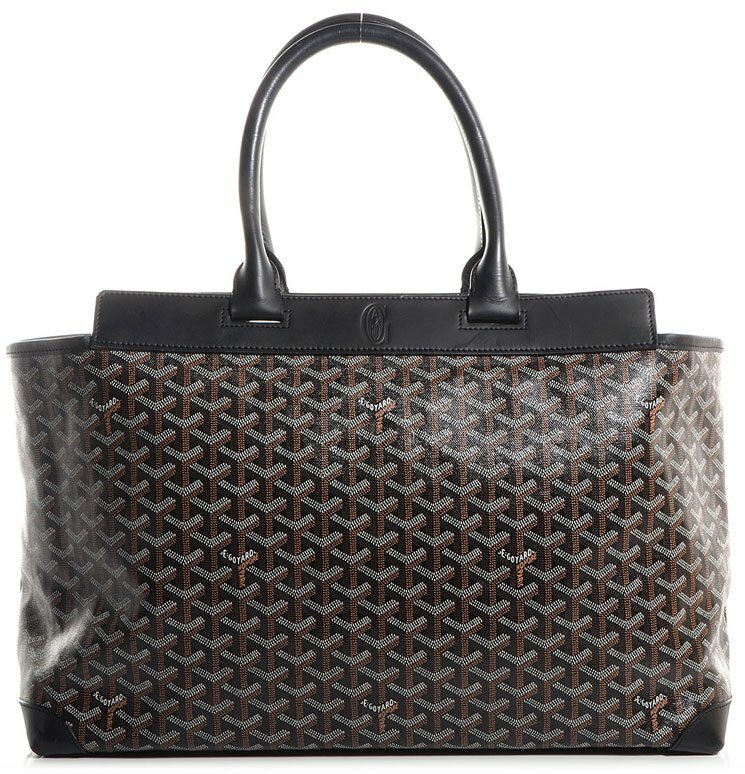 The Goyard Saint Louis Tote is their signature Bag and is embellished with Goyardine Canvas. The Goyardine was invented by Edmond in 1892, it’s inspired by the history of his family and is truly a revolutionary material as it looks like real leather from appearance. But it’s actually made from natural coated cloth, mixed with cotton, hemp and lining. 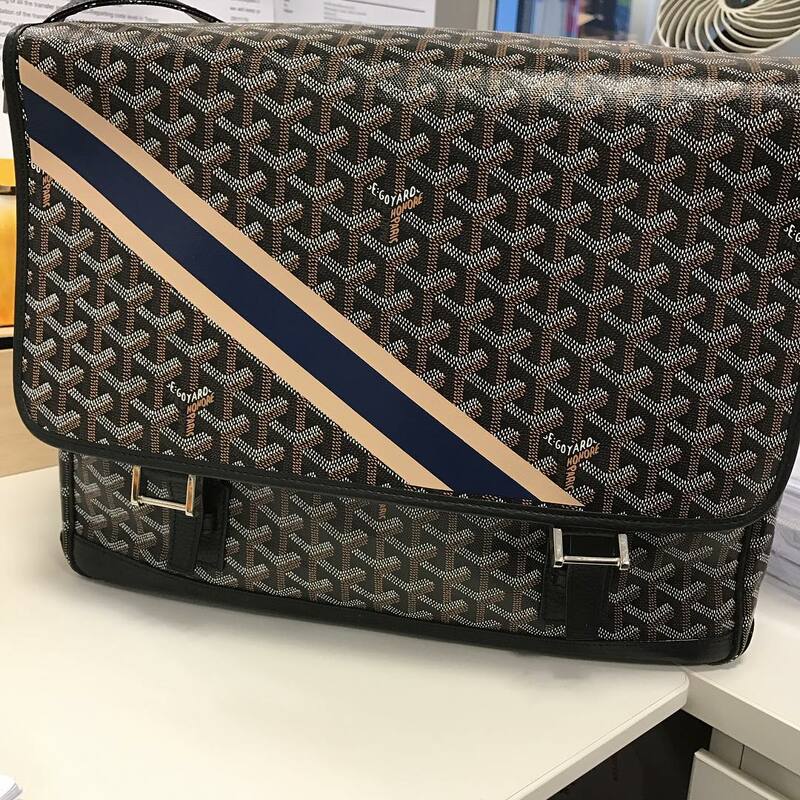 The material also contributes to the success of the Goyard Saint Louis Bag, because it’s durable, impeccable yet soft and waterproof. The manufacture technique for processing and creating the Goyardine Canvas has remained secret within the family. 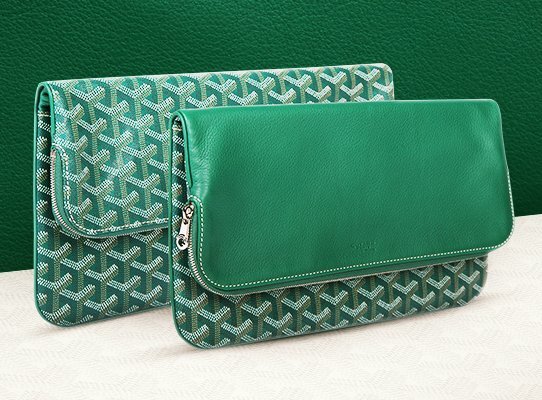 The next bag that has been warmly received by the fashion industry is the Goyard Anjou Bag. 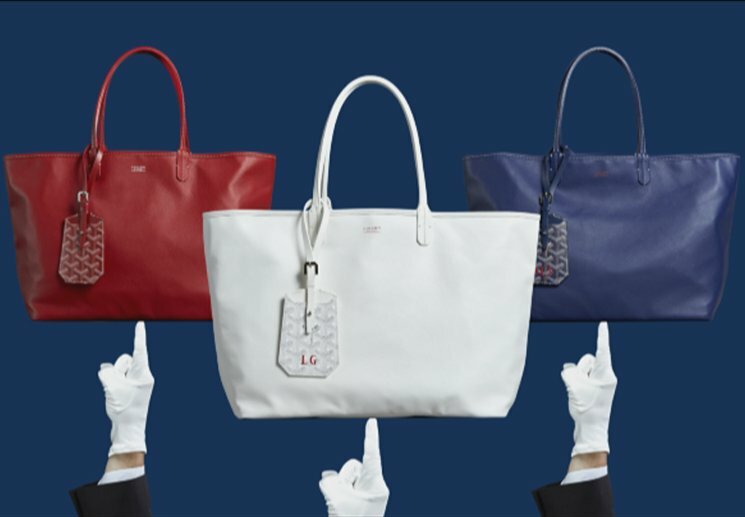 With a design very similar to the Goyard Saint Louis Tote, it carries the same attractiveness and charisma. 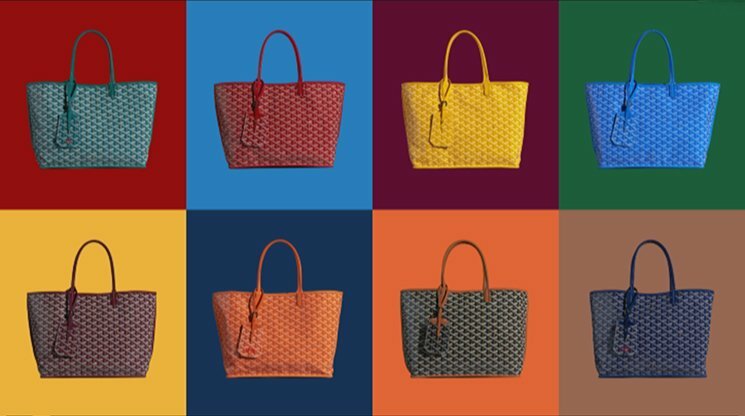 The ‘reversible version’ named the Goyard Anjou Reversible Tote is a new design released in the early 2016. 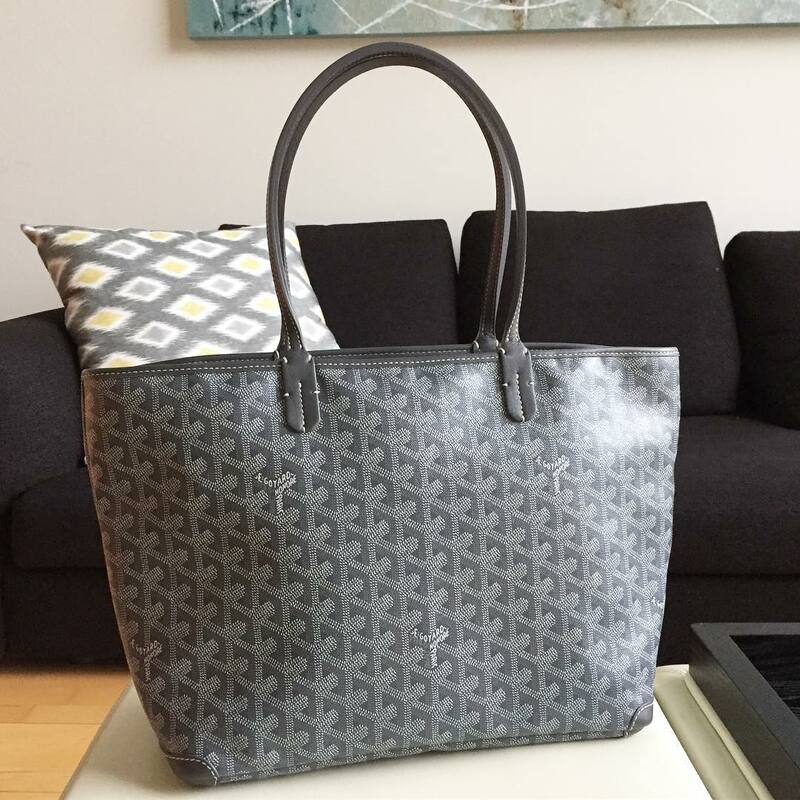 This bag is called reversible because it can be reversed from the inside and change the bag with Goyardine Canvas Print to a solid color handbag. 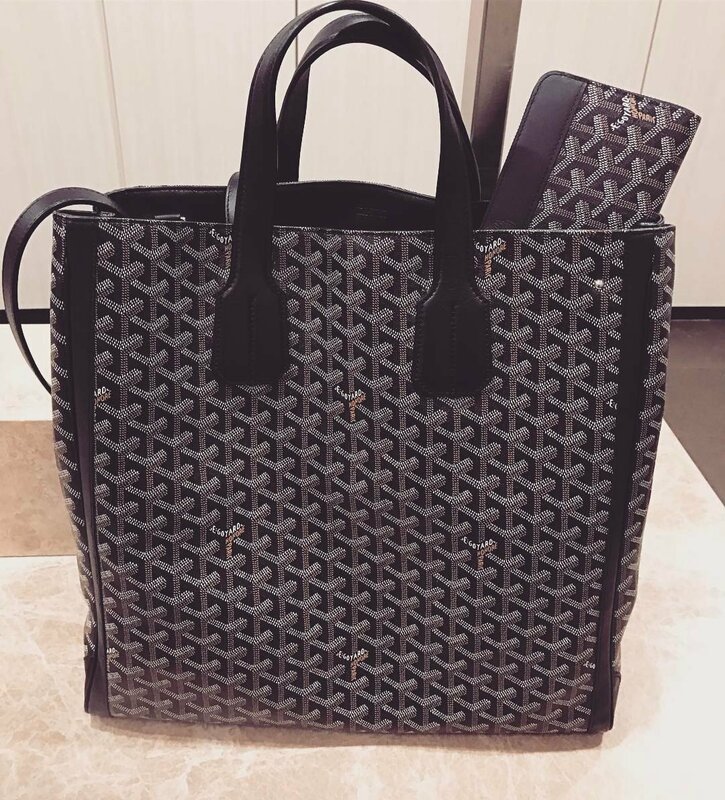 Basically the Goyard Anjou Reversible Bag is two bags in one. You can change it depending on your mood or circumstances to fit to your outfit. While it comes in variations of gorgeous colors, the bag features several new additions that you will love. First it comes with an internal pouch and secondly it’s supported with a chic luggage tag. For those who love personalization, you can add your own initials on the bag. 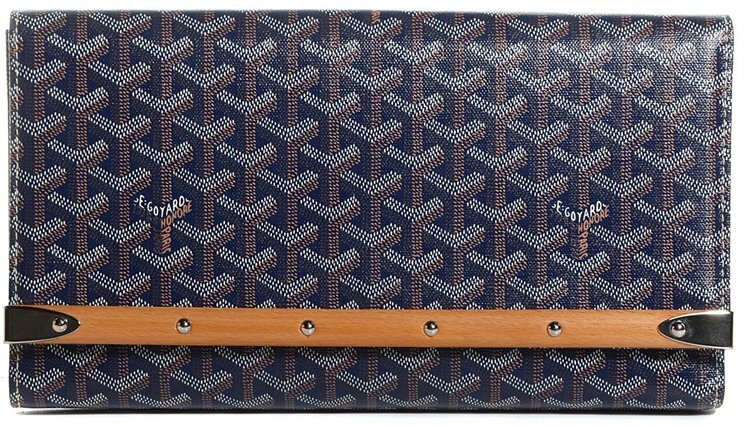 The ‘Reversible’ option is truly the evidence that Goyard can innovate. The Anjou Reversible Bag is mixed of classic and modern style at the same time. The Goyardine Canvas Print is creates a vintage look while the solid color gives the impression of a modern bag. The Luggage Tag is not reversible, so it remains covered in the Goyardine Print. However, the luggage tag does add a little spiciness on the appearance. Hi may I know the price of saint thomas money clip wallet black/blank and bouget PM luggae in France please? How much is the Belvedere 2 in pm for black in Milan? I just purchased the Artois MM in black today at the London store for 1235 GBP. Wanna know how much is a special color Cap Vert in Paris…..THX a million. FYI I was just in Paris and purchased the goyard artois pm in classic color for 1125 Euro. Thank you so much, page has been updated! Anyone know how much the classic color gm black on black st louis tote is in london after VAT? Hello, does anyone know the update price of saint louis pm size in special colours in HK retails shop please? Thank you so much! Thank you, prices has been updated! 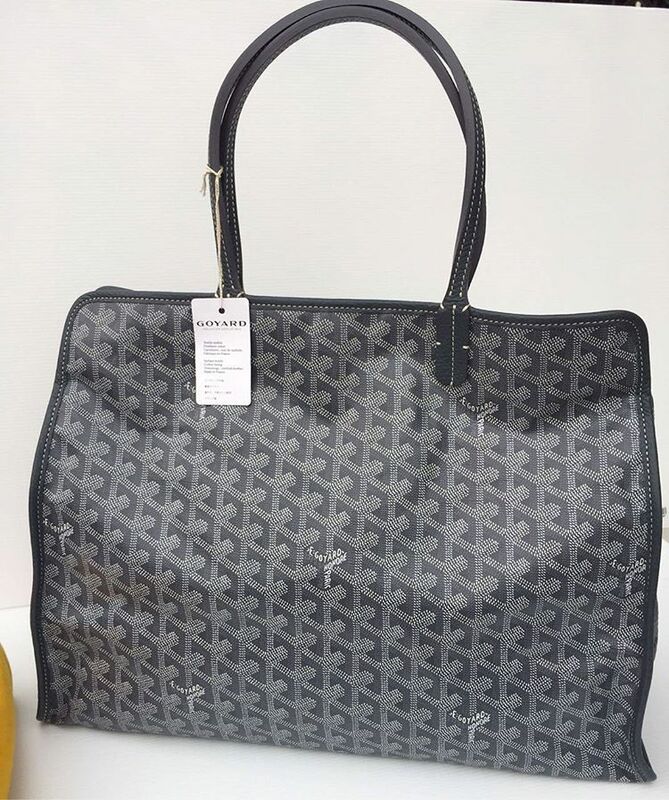 I was in Paris this weekend and on February 9, 2019, I bought an MM Goyard Belvedere II, Black on black (classic colours) and it was €1,620 including VAT. I’m going to Paris and wondering if anyone know how much is Artois gm in black or colour.. There is a new version of the Voltaire tote bag as of last year. The design is slightly different overall; there is no shoulder strap now which can be purchased separately. 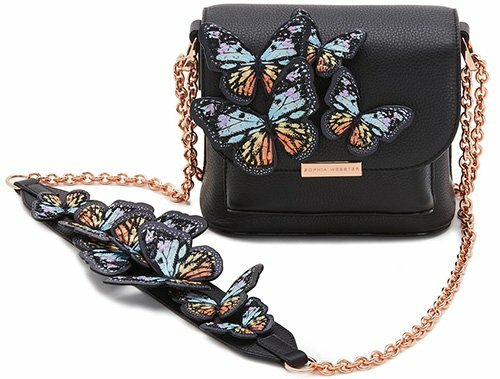 Purchased in London (Black/Black) December 12, 2018, for GBP1025. Last time I checked the San Francisco store the price was $1730 (Black/Black). The price had dropped considerably due to design change. I believe the prices are similar in both Paris and London. The Victoire billfold was GBP550 or US$715 before VAT return. Just bought a blue Belvedere PM in Paris 1/2019. The new price is €1990. Hazel, you’re great. Thank you for sharing. We updated it for the community. Hi. May I please know the price of a Artois PM in black color in Paris? Hi do you know what are the prices for marquises, classic and colors in Paris? Hi I’d like to find out How much is the bellachase Pm in special color in Paris? Just buy Saint Louis PM Blue color PM size on Dec 20, 2018. The price is Euro 1085 before tax refund.